Mark at Car Audio Fabrication takes a closer look at how to install the DM-810 Digital Signal Processor (DSP) into your vehicle in order to take complete control of your car audio system. 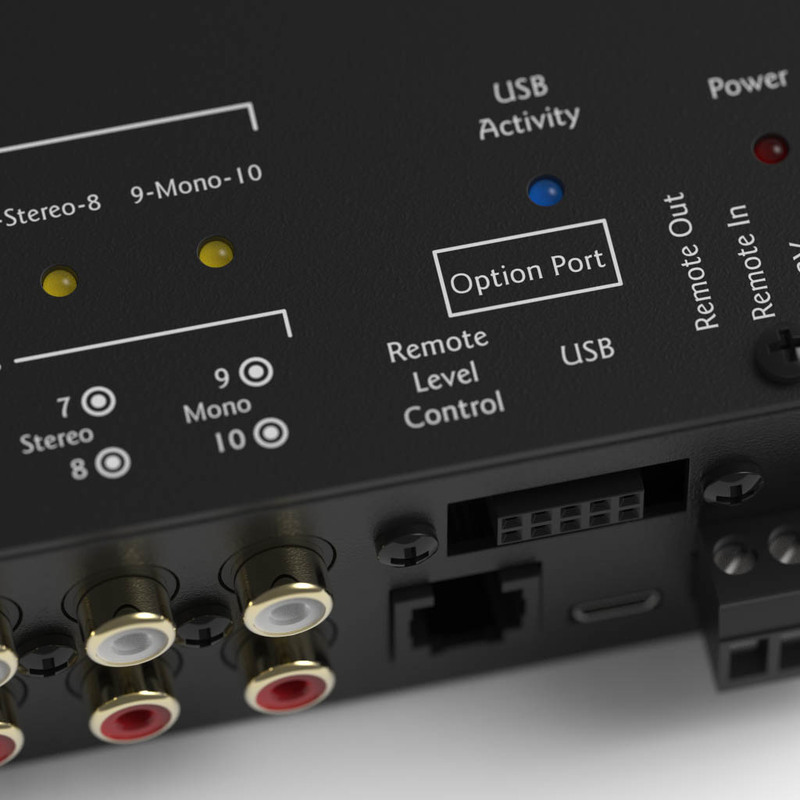 The built in Option Port on the DM-810 is the future of car audio and allows hi-res streaming and DSP programming directly into the DSP using the AC-BT24 Bluetooth Streamer/Programmer. 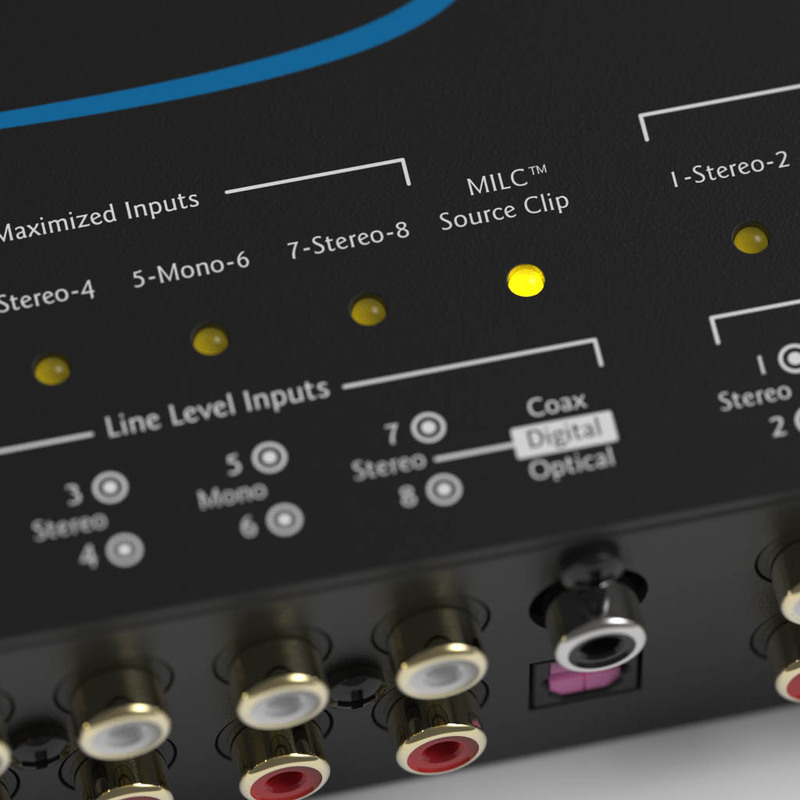 It also opens up future proprietary connections for additional inputs, controllers and interface solutions. Watch this space for future Option Port expansion options. 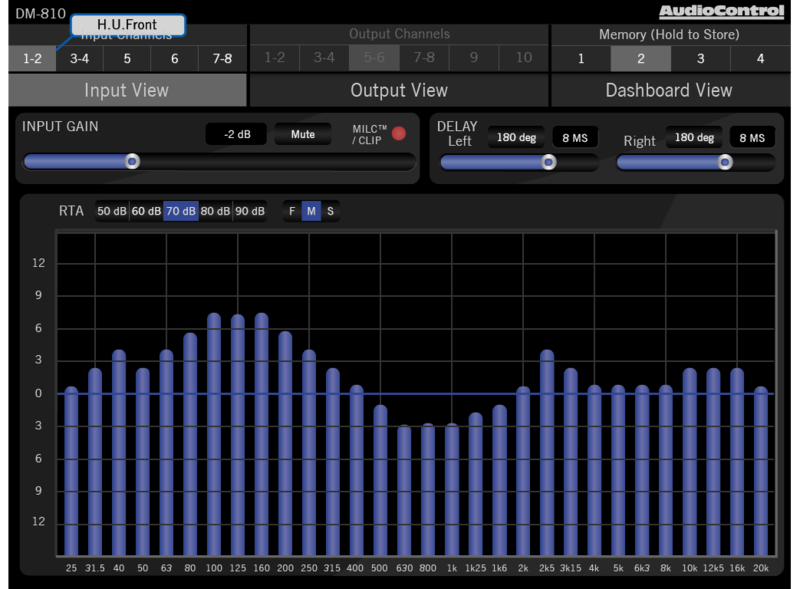 Connect your laptop to the DM-608 using AudioControl’s DM Smart DSP app, a fully featured Matrix DSP Interface designed to give you instant and clear control over every aspect of your processor. 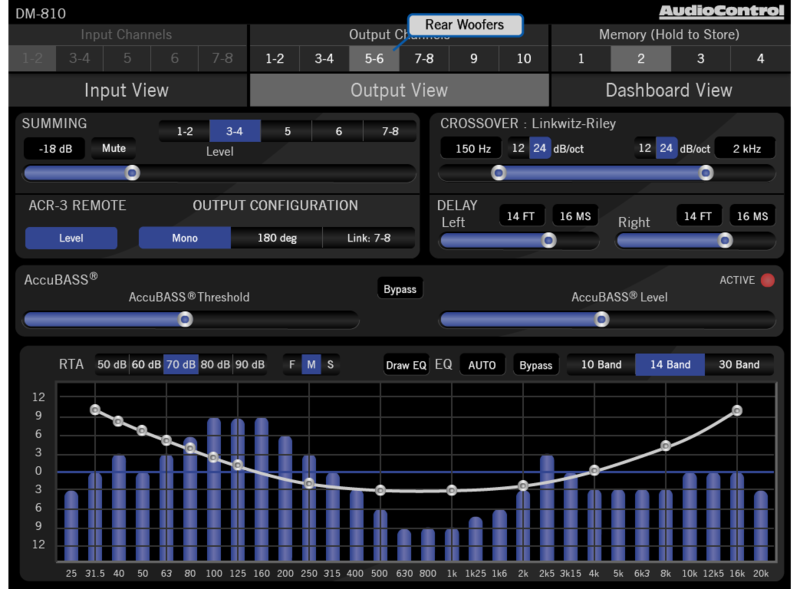 Route any input to any output, adjust gain, delay and polarity then precisely tune the DM-608 using a 30 band EQ. High-pass, low-pass and band-pass can be set up for any output using 12 or 24 dB/octave Linkwitz-Riley crossovers. 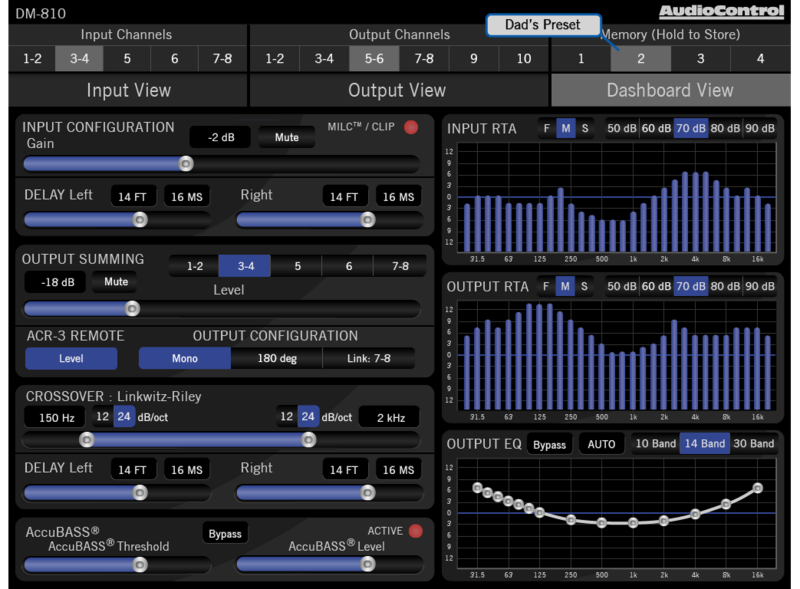 With a clear GUI and intuitive workflow, AudioControl’s DM Smart DSP will take the guesswork out of tuning your system to your exact specifications.